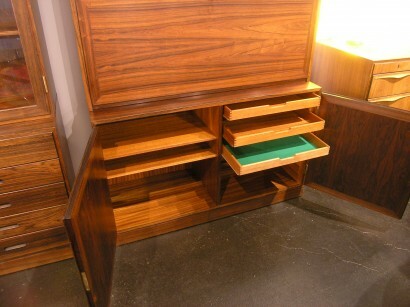 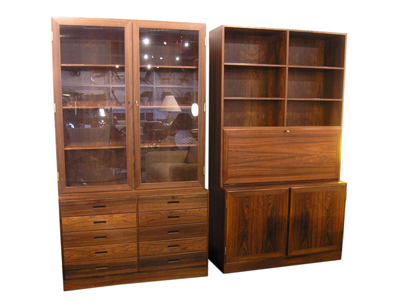 This elegant pair of cabinets by Ole Wanscher offer ample storage space. 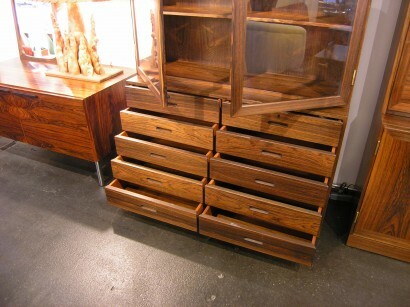 One with glass doors and 10 drawers and the other with a secretary surface that folds down to reveal additional shelving and small drawers as well as a section below with felted drawers, these pieces could be used together or separately. 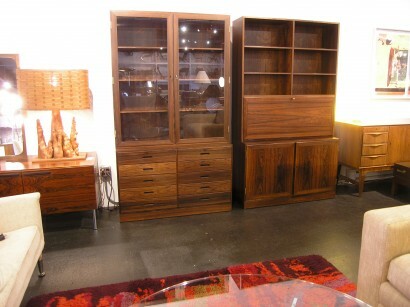 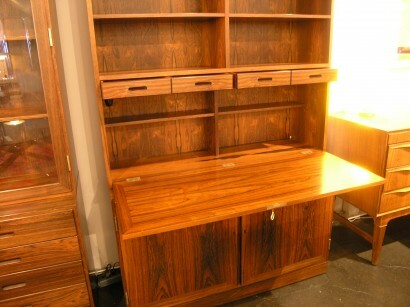 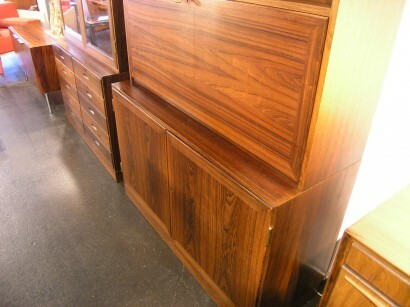 With a beautiful rosewood grain, these cabinets would make a statement in any living or dining room. 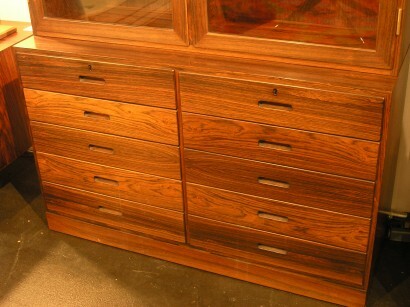 Height: 75.5", Width: 43.25", Depth: 15.75"